Natural disasters often come with little notice and show no mercy – and with storms, the aftermath often brings severe flooding impacting a large swath of the population. 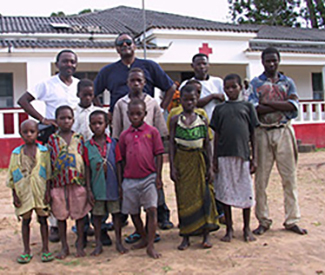 In 1999, Mozambique faced this scenario setting international humanitarian aid efforts into motion. This prompted eventual VillageReach founder Blaise Judja-Sato to return to his native Africa to coordinate relief efforts with humanitarian Graça Machel’s community foundation. Judja-Sato was struck by the complex challenges of delivering aid, especially to the most remote and rural populations, and made a commitment to address health care needs at the last mile. As a successful telecommunications executive, Judja-Sato had years of experience establishing infrastructures to reach and serve rural communities. Momentum built and Judja-Sato, along with a group of health and development experts like PATH co-founder Michael Free, looked to build a business model to help governments address last mile health delivery challenges—and thus VillageReach was born. The first charge: fixing the supply chain to increase the number of children receiving life-saving vaccines. As I state in the Scaling Pathways introduction, “Governments are balancing multiple priorities and demands, with limited budgets. They want to invest in high impact changes, but they also want to be sure of the impact and the implications before they start changing their systems to incorporate a new approach. One of the things that we as social enterprises can do is to help to answer some of those questions for them, to minimize their risk in adopting the ultimate solution. We can show them the demand, what it takes to generate that demand, and the costs.” As with any innovation, failing fast is part of the iterative process and we can be nimble in ways that government systems cannot. Governments are not the only pathway to scale for certain innovations. Some of our collaborative solutions – like VidaGas and OpenLMIS– have scaled through market adoption and revenue-generating businesses. But when it comes to providing quality health care access at the bottom of the pyramid, the government remains that key player, partner, and scaler. 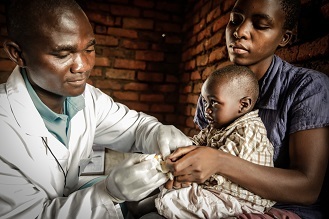 Our first vaccine supply chain design has proven itself, and in the last ten years our partnerships with governments have taken us beyond Mozambique allowing us to both replicate high-impact solutions and develop new ones in countries like Malawi and the Democratic Republic of Congo. VillageReach’s portfolio of programs provide unwavering evidence that systems-level change in health care delivery leads to sustainable results. Over the years that I’ve shared Blaise Judja-Sato’s story, I think about his commitment to deliver quality health care at the last mile. VillageReach has remained true to that commitment and to the communities across sub-Saharan Africa, while continuing to evolve our approach to do so.